How do I look after my new pond? 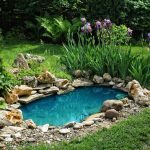 The best way to care for a new pond is to aim at achieving a natural ecological balance in your pond, the way it would work in nature. With this natural balance achieved, a complete cycle will take place. The fish waste and dead vegetation will be consumed by bacteria, snails, & zooplankton, and these will convert the waste eventually into a form which plants can use as fertilizer to grow on and complete the cycle again. This cycle depends upon stocking a pond with the right amount of fish, plants, good quality water, good depth in the pond and sunlight for the plants. My pond is full of algae, what should I do? This is a complex question. First you have to define what “kind” of algae you have. Is the algae just making the water green or is there actually “chunks” of algae that I can hold on to? All it means if you have green water is that there are too many nutrients in the water. This can be caused by too many fish, overfeeding the fish, the wrong kind of fertilizer, or lots of rotting vegetation. To combat algae, simply add more plants, decrease the number of fish, feed the fish less or add a filtration system. Don’t replace all the water with fresh water… this just gives the algae a fresh supply of nutrients. Adding plants takes away the nutrients the algae needs to survive. For a pond that is healthy you need to have a balance: the right number of plants, fish and scavengers and the pond will not grow excess algae. Having said all that, EVERY SPRING your pond will go green, this is known as an algal bloom. Don’t Panic! This is completely natural, and will not harm your plants or fish. The reason ponds go green in the spring is that algae is a simple plant and can grow faster than the rest of your plants. If your pond was balanced last summer, as soon as the plants start to grow, they will out compete the algae, just be patient. This is the time when all pondkeepers must have faith – your pond WILL become CLEAR! If there are actual “chunks” of algae in your pond it is probably filamentous algae, commonly known as blanket weed. And now the bad news: the best way to get rid of it is to pull it out. Putting a stick in and twirling it around seems to work best, although catching it with a fish net works as well (but you have to be careful what else you catch). Using a rake for a large pond seems to be the preferred method. On the bright side, it makes really, really good mulch, put it on your vegetable garden. It is full of nutrients, and weeds are slow to grow through it. If you keep removing it as soon as you see it, blanketweed will not become a major problem. There is one consolation: blanketweed usually appears in ponds where the water quality is good. Some years you will have blanketweed, other years you won’t, some ponds have it, some don’t – it is very unpredictable, but harmless. Some chemicals are available which affect only the blanketweed: it works well the first time, but the blanketweed will come back in a short time, and every time you treat it, the chemical is less effective and the blanketweed comes back more quickly. If you consider that when removing blanketweed you are “weeding” your pond – it is pleasant to be dabbling in the water, rather than grubbing in dirt for weeds. Can’t I just kill the algae with Chemicals? Well, yes and no … this will kill the algae, which will sink to the bottom, rot away, and then provide nutrients for a fresh algae bloom. This is why the bottle will tell you to keep adding new chemical every two to three weeks. It is much better for the plants and fish to treat the problem naturally instead of getting into a cycle of chemicals; and remember – algae is a plant, and anything that will kill algae, will not be good for your plants. (Many algaecides will also kill all invertebrates, e.g. snails, tadpoles, insects etc.) It is quite possible to kill all your plants with an algaecide with an incorrect dose, or a particularly warm day. Algae is also an indicator that there are too many nutrients in your pond. If you use chemicals to kill the algae, you will have clear water, but the water may not be healthy for your fish. There could be high levels of ammonia for example. The algae would consume the nitrates formed from ammonia and grow until the ammonia was used up, but if you kill the algae, the ammonia levels can keep climbing until it kills your fish. Running water doesn’t significantly effect algae. The gravel and plants in a natural stream act as a biological filter, and streams usually are not stocked heavily with fish. 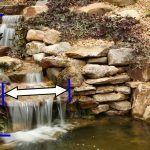 You need a pump if you want a waterfall or fountain or other moving water feature. It is quite possible to have a clean, clear pond without water running in it. However, if you heavily stock your pond with fish, and have few plants, you will need a pump and filter to maintain reasonable water quality. Before you get to this state, consider what will happen to all those fish if you have a power failure. It is much better not to stock beyond the natural capacity of your pond. What kind of plants should I have? Whatever you want! In general, it is recommended that you have 60% of the pond surface covered with plants, this includes upright plants like iris and cattail as well as plants with floating leaves like waterlilies and true floaters like water lettuce and water hyacinth. Floating plants and plants with floating leaves help reduce algae by shading the water, and also using nutrients from the water for growth. Algae needs lots of sunlight and warmth to thrive. One of the most important type of plants in your pond for competing with algae are the oxygenating plants. These plants look a little like seaweed and they grow underwater in your pond, taking the nutrients from the water that the algae would use to grow. The only real considerations when choosing plants for your pond are hardiness and your personal preferences. Check when you buy them that they will survive the winter in your pond, or get instructions on keeping them over the winter. This is another reason to be sure to buy from someone that actually grows the plants, and knows the climatic requirements for your area. Do I need fish and how many fish can I add? You need at least one fish to eat mosquito larvae that will otherwise breed in your pond. The rule of thumb is a maximum of one inch of fish for every square foot of surface area.. But remember, fish GROW (and also can multiply!) A goldfish can grow from a one inch fish to a three inch fish in just one summer. Also, consider that the more fish there are in a pond, the more nutrients are added for algae to grow. If you have just a few fish , you don’t have to feed your fish at all. They will eat insects and nibble on the oxygenating plants for nourishment. Fish can be fed to induce them to come to the surface where they can be more easily seen and enjoyed. Feed them as much as they will completely clean up in five minutes. Note the important word: completely, any excess food will rot on the bottom of the pond and feed the algae. Remove any uneaten food after five minutes. Feed less the next day. What about filtering the water? There are two types of filter, with two separate uses. A mechanical filter, usually a piece of foam in some sort of box, is used to keep particles out of the pump and thus from blocking the holes in a fountain nozzle. A mechanical filter will also minimize algae to a certain extent by removing any large particles of algae. A biological filter (or bio-filter) is basically a home for beneficial bacteria. A container of gravel, or some other substance with a large surface area, provides a home for the bacteria which convert fish waste into plant fertilizer. The bio-filter does not directly reduce algae, instead it accelerates the natural process of decompostion and allows an increase in the number of fish that can be successfully added without too many nutrients in the water causing algae to appear. How deep does my pond have to be? 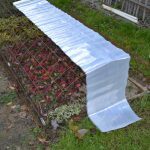 It depends on where you are and if you need to be able to keep fish over the winter in it. At minimum, without considering fish, your pond should be 2 feet deep. A pond that is shallower will heat up excessively, encouraging algae growth. We generally recommend you plan to keep your fish in the pond over the winter, they survive better outside than inside once they are about two years old. To keep fish over the winter in our area (Canadian zone 5, USDA zone 4) the recommended pond depth is 2 1/2 to 3 feet deep. If possible, check with a local ponder for the recommended depth in your area. This is the time to check your local bylaws regarding pond depths and fences. Where should I put my pond? How do I build it? This is such a complex question that we’ve expanded this answer, and given it a page of it’s own. So, CLICK before you dig!